November is the time of year where mustaches return from their year-long hibernation. The razors and blades that have kept them at bay are cast aside. Cans of shaving cream tossed gone unused. But why? 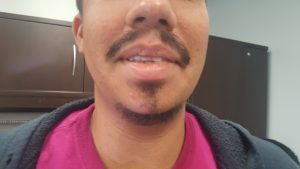 Ponce has participated in Movember the last seven years. In his efforts to contribute to the cause, Ponce has organized and lead many of the Sheridan Student Union campaigns. 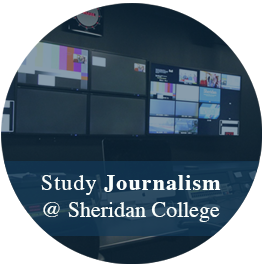 His very first Movember campaign at Sheridan brought in almost $5,000. Movember is a not-for-profit organization that is focused on raising awareness and funding research for prostate and testicular cancer as well as men’s mental health awareness. Movember has been helping break through the stigma surrounding male health for over 15 years. Starting in Australia back in 2003 and coming to Canada in 2006, Movember set out to change the face of men’s health. They do this by donating to organizations like Prostate Cancer Canada and funding initiatives like the Ironman Registry, TrueNTH Global Registry, and GAP5 Testicular Cancer Translational Research Project, which all seek to conduct more research on testicular and prostate cancer as well and mental health research. “Prostate cancer and testicular and those things really resonated with me because my father is getting older and I know he has prostate issues which is why personally it resonated with me,” explained Ponce. 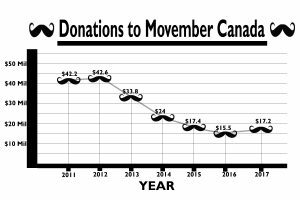 Last year in Canada, Movember raised $17.2 million which was up $2 million from the previous year but looking at Movember donations since 2011 the totals have drastically decreased. For some people, the impact goes further than just the money. How to grow a memorable mustache? Mustaches have been around for as long as man could grow facial hair. For as many years mustaches have been around there have been just as many styles, trends and fads changing the ‘stache from grotesque hair to something be sported as a trophy and hung on the face proudly above the upper lip. “When I started, I was under the influence that I probably couldn’t even grow a mustache. And I know a lot of people have those dads who they’ve never seen shave their mustache. And for me I wanted to see if I could do the same thing as my dad,” said Ponce. There are many difficulties, though, that plague those who take the challenge that is growing a mustache. Enrique Ponce inspired me with his words. Which is why I decided to grow one myself.